Dark Victory Movie Vintage Lobby Card. 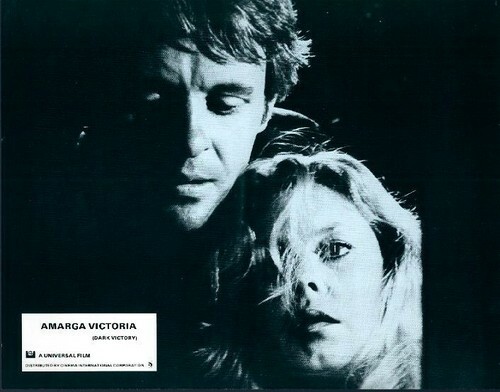 Vintage 1976 Spanish lobby card for the Bette Davis remake movie, Dark Victory which starred Elizabeth and Anthony Hopkins.. Wallpaper and background images in the 엘리자베스 몽고메리 club tagged: dark victory elizabeth montgomery movies actress vintage lobby card collectible photos. This 엘리자베스 몽고메리 photo contains 초상화, 얼굴, 근접 촬영, 얼굴 만, 세로, and 헤드샷.